Bicom Systems is a provider of unified communications solutions for VoIP businesses. It offers both hosted and on-premise solutions for its services. 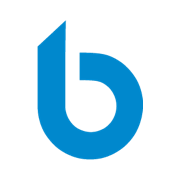 Ready to get started with Bicom Systems? Request a demo. As of the date this article was written (01/16/18), there are no recent user reviews of Bicom Systems online. If you are a past or current Bicom Systems customer, leave a review to help other small business owners who are deciding whether or not to use the company. Bicom Systems doesn’t publish rates on their website. Prices for similar programs can range between $20/month (for basic software) to $1,000/month (for more advanced applications). Interested parties may contact sales support to get specific pricing details. Services are priced according to the number of extensions or lines and exact business requirements. Ready to get started with Bicom Systems? Request a demo. 6 Best Small Business VoIP Phone Service Providers 2019 — Voice-over-internet-protocol (VoIP) phone services are internet-based alternatives to traditional landline phones with features like auto-attendants, voicemail, and customer relationship management integration. In this guide, we evaluated the best VoIP providers and narrowed it to the six best based on their price and features. What technology does Bicom Systems employ to maintain communication security? All communications with Bicom Systems can be deployed to use industry standard high encryption technologies (SSL and VPN). What is required to perform a system upgrade? Before upgrade is scheduled and performed, Bicom Systems staff must perform an initial inspection of the user’s system in order to evaluate requirements and give the estimated time needed to perform the upgrade. Some of the factors that will affect how long upgrade procedure will take include hardware configuration, base system version, current PBXware version, and database size. Not sure if Bicom Systems is the right fit for you? Read our reviews of all top VoIP service providers.